Richard Henry Hussey, Sr., 93, passed away Tuesday morning, March 25, 2014 at his home surrounded by loved ones. He was born November 28, 1920 in Sumter, SC a son of the late Robert Francis Marion and Rosa Delila Riles Hussey. He was predeceased by his wife, Pearline Burnette Hussey, his six brothers, Robert Manning Hussey, Jr., Theodore Hayward Hussey, George Allen Hussey, Fred Vinson Hussey, Francis Marion Hussey and Thomas Andrew Hussey; four sisters, Ruby Roberter Hussey Jenkins, Rosa Abbigayle Hussey Horton, Janie Elizabeth Hussey Riles and Delila Hussey and his daughter Lydia Hussey Banks; a son-in-law, Brooks Parler and a grandson-in-law, Christopher Petersen. Richard was a graduate of Edmonds High School in Sumter, SC. He was an active member of the First United Methodist Church in Myrtle Beach where he served as chairman of the Administrative Board and the Board of Trustees where he was an honorary lifetime member. 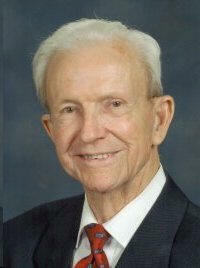 Mr. Hussey was a member of the Men’s Bible Class, lay member to the annual conference and was an usher for many years. He was a Navy WWII Veteran and member of the American Legion and Veteran of Foreign Wars, Rotarian and past president of the Lion’s Club. He was a member of the Chamber of Commerce where he served as 1st Vice President and Director of the Sun Fun Parade for many years. He was a 33rd Degree Scottish Rite Mason and past master of Lodge 419. He was past Potentate of the Omar Shrine Temple and past director general of the South Atlantic Shrine-Association. Richard was the original owner of Hussey Motors which opened in 1950 and also owned and operated the Safari Motel along with his wife, Pearline until 1988. Survivors include his children, Richard Henry (Rick) Hussey, Jr. and wife, Linda, Helen Frances Hussey Parler and Michael A. Hussey and wife, Jean; a son-in-law, B. Randall Banks all of Myrtle Beach and Conway, SC; two sisters, Virginia Hussey Drayton and Corine Hussey Mitchum and three sisters-in-law, Lillian Timmons, Edline H. Hucks and Maxine H. Kemp; grandchildren, Dr. Richard H. Hussey, III and wife, Shannon, Michael Davis Hussey and wife, Ida, Kimberly Peterson Flanagan and husband, Joe, Jennifer Parler, Teresa Parler D’Errico and husband Charles, Steven Parler and wife, Angie, Dawn Banks Nettle and husband, Duane, Brandi Banks Garris and husband, Gerry, Billy R. Banks and wife, Audrey, Denise Banks Tindall and husband, Mike, Meredith Hussey, Natalie Hussey Walker and husband, Robin and Pamela Hussey; and twenty-five great-grandchildren. The family would like to thank Mr. Hussey’s caregivers, Krysti Brigman, Susan LaPan and Helen Pradick. The family will receive friends Thursday March 27, 2014 at McMillan-Small Funeral Home in Myrtle Beach from 5:00-7:00 PM. Funeral services will be at 2:00 PM, Friday March 28, 2014 at First United Methodist Church, Myrtle Beach with Dr. William Phillips, Rev. Thomas N. Brittain and Rev. Jonathan Harris officiating. Burial will follow the service at Ocean Woods Memorial Cemetery. Memorials may be made in Mr. Hussey's memory to: First United Methodist Church, PO Box 1306 Myrtle Beach, SC 29578 or Gideon’s International, PO Box 8832, Myrtle Beach, SC 29578.